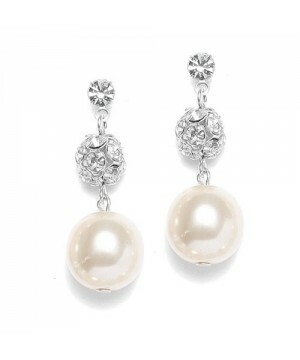 Choose this gorgeous pair of vintage inspired earrings with glass pearls accented by Swarovski rhinestone fireballs for your wedding or gala gown. 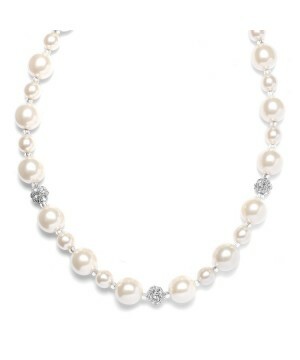 This gorgeous vintage inspired pearl necklace adorned with Swarovski rhinestone fireballs is the perfect accessory for any bride or second time around bride. 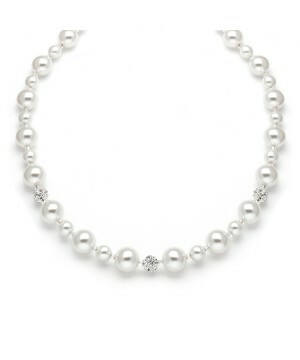 A lovely vintage inspired pearl necklace with Swarovski rhinestone fireballs perfect for your wedding day.